SCOPE is an opportunity for Canadian and American Scouts to camp together, get to know each other, and have fun together. It's a great opportunity to forge friendships that may well last a lifetime! Following a very successful SCOPE 2017 camp where we travelled to Philadelphia, planning for part 2 of the exchange program SCOPE 2019 is well underway. 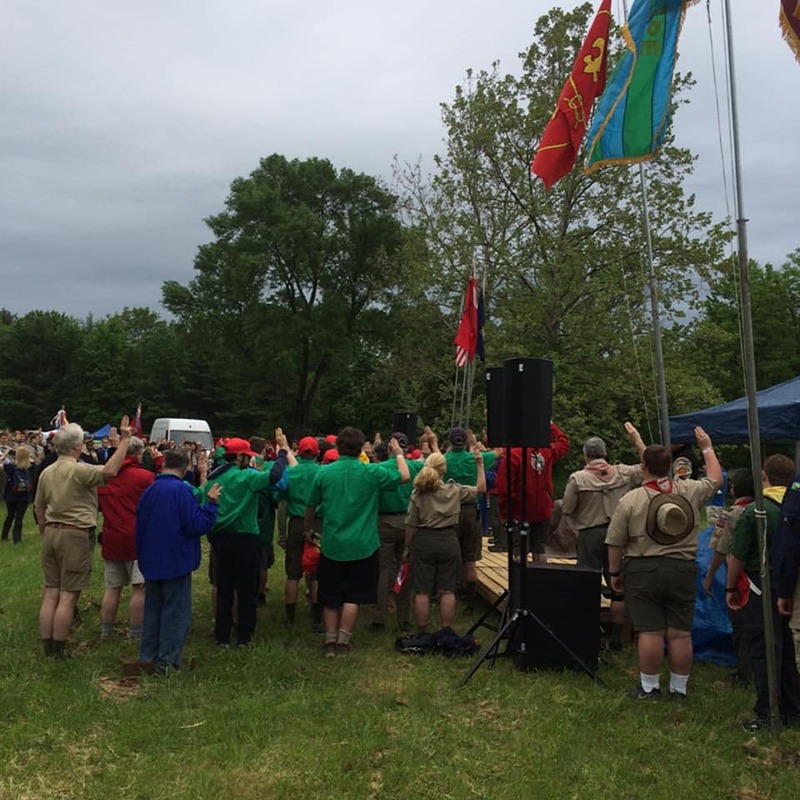 This time the American Scouts will be travelling to join us at Woodland Trails Scout Camp in Stouffville, Ontario. SCOPE is a unique International scouting experience. Lasting friendships have developed and all have had a most rewarding experience. Please join us for an extended weekend of fun and fellowship. In the past, home hosting has been part of the SCOPE experience, but it will be different this year. This year's edition of SCOPE will take place entirely at camp except for a fun-filled day-long bus trip to Toronto. The American contingent will arrive on Thursday evening, May 23rd, and go straight to Camp Woodland Trails. After dinner (U.S. Contingent only), the U.S. Scouts will be greeted by Canadian Scouts and will camp in tents with your troop. On Friday, the American and the Canadian Scouts will be visiting Toronto for the day. Saturday and Sunday will be filled with fun and challenging activities for everyone. On Sunday, We will break camp and after camp closing, the Canadian Scouts will say goodbye to our U.S. guests. The American contingent will spend one more night at camp in cabins with a small contingent of Canadian Scouters and will return home early Monday morning.